The PTE (Pearson Test of English) is a computer-based English language test aimed for the non-native English speakers who want to study abroad. PTE tests access the reading, writing, listening & speaking skills of exam aspirants. The question often based on 2 skills either listening & reading or speaking & reading. Basically, it takes maximum 5 days to announce the result. 1. You will get e-mail. 2. Go to your Pearson Account. 3. Enter the login details. 5. Click on ‘View PTE Score Report’. 6. The scorecard will be visible then save or download your PTE score. 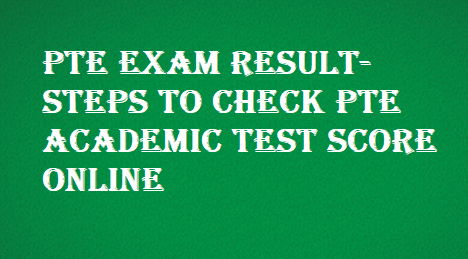 The PTE scores are valid up to two years from the date of the exam; once two years have passed scores will be deleted from the website automatically and no longer will be visible. 1. When scores are ready, Pearson sends an E-mail. So check your ‘Spam’ or ‘Junk Folder’ to see if it’s already there. Search for Pearson or PTE Exam. 3. In this situation, you can only have patience. Casually it takes 3 weeks to declare the exam. 4. If you do not get an e-mail within 5 days then can contact via e-mail or phone numbers according to your region. PTE Exam Result can be delayed for irregularities and those irregularities no one knows. It may be a technical issue or another.